John Holden, a member of the committee, said Cuneo's fate has gotten less than a "robust hearing." A developer who wanted to offer a plan to renovate and repurpose the building wasn't encouraged, according to Holden. "Cuneo deserves preservation, period," Holden said. "It's an important example of mid-20th-century modern architecture." The debate over Cuneo has drawn comparisons to another mid-century experimental hospital design: Old Prentice Women's Hospital. That Bertrand Goldberg building is currently under demolition by Northwestern University, who plans to build a research high-rise on the site. As for what awaits Chicago architect Edo J. Belli’s Cuneo, 46th Ward Ald. James Cappleman apparently endorses a developer’s plan to build a high rise on the site, where Montrose and Clarendon Avenues meet. Built in 1957, the first of the Cuneo buildings was one of the Illinois Institute of Technology graduate’s experiments with sculptural forms—a stroke against the grain of the Miesian rigidity that dominated IIT and much of Chicago architecture at the time. The building was closed in 1988, and used as a children's shelter for a few years after that. St. Joseph’s Hospital in Lincoln Park displays similar elements. (Read an extended interview with Edo Belli by the Art Institute of Chicago here.) Another building across Clarendon was built later, connected to the 1957 structure by a skywalk. Friends of Cuneo, a preservation group, floated a petition to save the hospital last fall, when demolition plans were first made public. 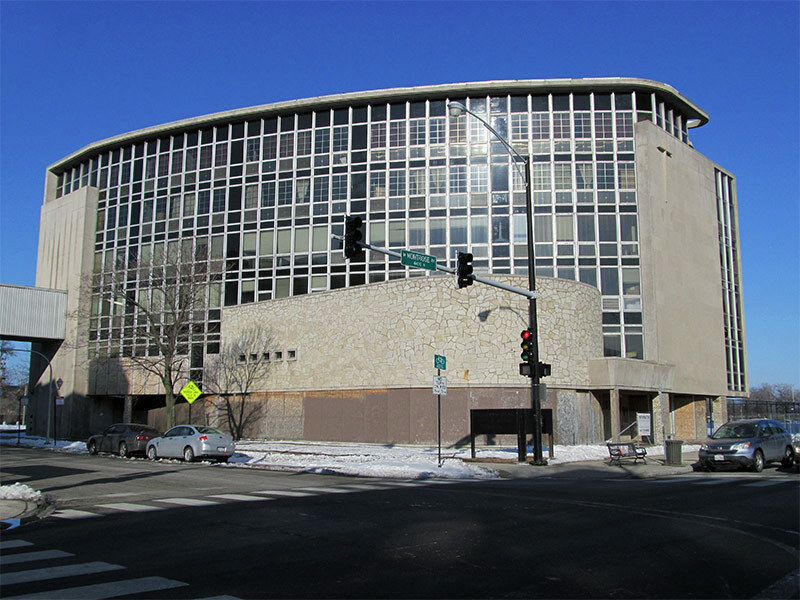 The vacant Frank Cuneo Memorial Hospital in Chicago’s Uptown neighborhood faces demolition to make way for the $220 million “Maryville” residential project, but the developer of Chicago’s Green Exchange has a plan to save the 1957 Edo Belli-designed building. David Baum, of Baum Development, said his plan to turn Cuneo into a neighborhood hub for Uptown’s artistic community would not require any subsidies. The rival plan from JDL Development calls for luxury apartments and $32 million of TIF funding. But the two may not be mutually exclusive. JDL’s plan calls for development along the west side of Clarendon Avenue, while Cuneo is on the east. Baum’s plan awaits the approval of an architectural engineer who could vet the building’s structural integrity and help solidify plans for redevelopment. 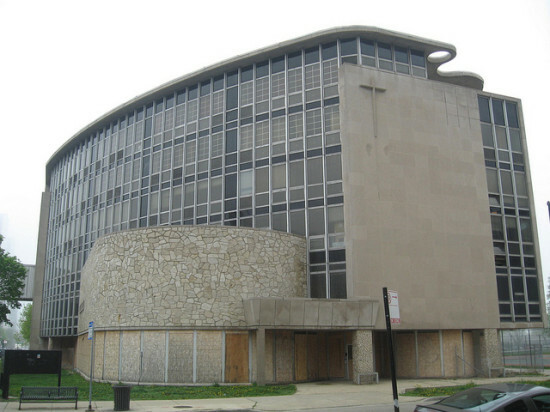 Cuneo made Preservation Chicago's list of seven most endangered buildings in 2012. The slow and tortured demise of Chicago's Prentice Women's Hospital now has an official stamp: according to the Chicago Tribune, Northwestern University was issued a demolition permit for the Bertrand Goldberg cloverleaf last Friday. Wrecking crews will be on site in a few weeks after asbestos abatement wraps up, and there are sure to be protesters around the construction fence. Of course, as seems all too common, the city is also busy readying soldiers for the next preservation battle. The 1957 Edo Belli-designed Cuneo Memorial Hospital is targeted for demolition, but Uptown residents have reached out to Preservation Chicago for support seeking landmark status. The group listed the building on its 2012 list of seven most-threatened structures in the city. Add this to what happened to Prentice and it isn’t a good year to be a midcentury modernist hospital in Chicago.